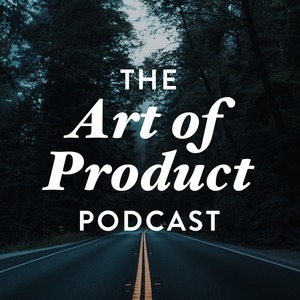 85 episodes of The Art of Product since the first episode, which aired on June 1st, 2017. Today we talk about how Ben just launched his new landing page and set up the domain for his new Rails video course. Derrick has been shipping stuff this week. He just rediscovered the pulse tab on GitHub which gives a nice summary of what they have done over the week. In this episode, Derrick is broadcasting from California as he visits his family. Ben went to Vermont last week and quickly realized how relaxing it is to be outside and see greenery. Such a different feel from the tension in the city. Ben has been chatting with a couple of people about consulting as a revenue officer. He had an interesting chat with someone but their visions just weren’t aligned in terms of value and compensation. Also it turned out this person wasn’t the decision maker, and the founder wasn’t as agreeable to Ben’s terms. Lesson learned - always talk to the decision maker. Ben is also struggling with whether he really wants to be involved in consulting. He may want to just focus on his product. Enjoy the show. Welcome to the Art of Product podcast. Derrick is rocking his “I ♥ yoga” shirt because he started practicing yoga at a studio down the street. He also gives us an update on new changes and features at Drip. Derrick was inspired by Ben’s newsletter and decided to work on his own newsletter, which gave him a great opportunity to use his own product. Ben is discovering that unemployment is a roller coaster. His stress level has been about 5X his normal baseline stress level. He started working at the co-working space and attending mixer events. He is emailing people on his list and sharing his ideas to get feedback for possible products for him to work on. Ben has been reflecting on how people and relationships make him shine and is considering finding a co-founder for his product. Welcome to the Art of Product podcast. This is episode 1, and just the beginning of the journey. This is a show with Ben Orenstein formerly from thoughtbot and Drip co-founder Derrick Reimer. Ben recently quit his job at thoughtbot, and is now focusing on what he is going to do next. Stay tuned. This is going to be a fun journey.